Although there is so much to see and do across Auckland, sometimes it’s great to slow down, venture beyond the city’s edge and discover some of the fantastic places and attractions that are scattered throughout this wonderful part of the world. If you’re wanting to discover more of New Zealand, check out our top five great day trips from Auckland and start planning your next weekend or mid-week escape! Located around 35 minutes from Auckland by ferry, Waiheke Island is a part of New Zealand that is close to the city but feels like it’s a whole world away. Surrounded by the waters of the Hauraki Gulf, the island draws together spectacular coastal views, fine wine, delicious food and unforgettable activities to offer visitors no shortage of incredible things to see, do and discover. Whether you’re visiting from overseas, another part of New Zealand or are simply looking for something different to do in your own backyard, Waiheke Island is a destination that is well worth adding to your must-see list. 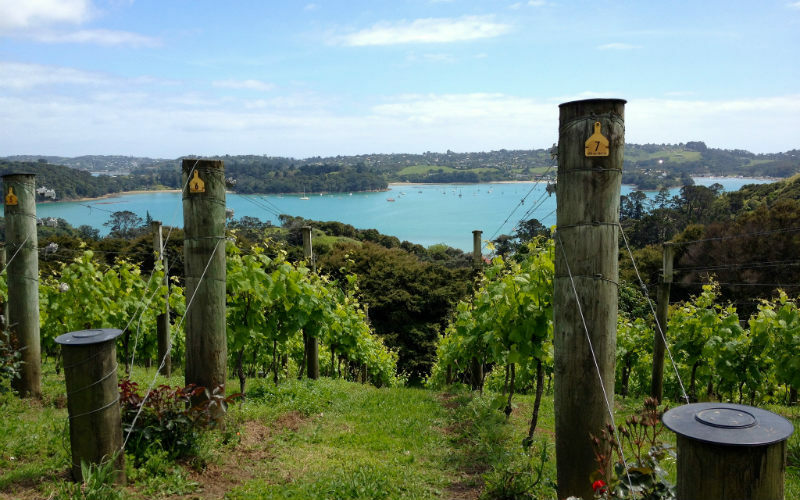 Known as the country’s ‘island of wine’, there are dozens of vineyards to explore across Waiheke and plenty of delightful varieties to sample, while the great range of restaurants, cafes and locally produced olives and honey are sure to leave taste buds well and truly tantalised. From exhilarating zipline adventures and unforgettable horse treks through to fishing charters, stand up paddle boarding and walking tours, a wide variety of activities are available in addition to the scenic walking trails that wind their way along the length of the island. Great for a day trip, a short stay or even just an active afternoon, there are so many ways to discover this wonderful part of New Zealand. Driving west of Auckland’s city centre, you’ll come across some of the region’s rugged west coast beaches. Unsheltered from the waters of the Tasman Sea, many of these beaches are typically considered to be prime surfing spots, attracting boardriders from across the island. While surfing may not be your thing, a beachside picnic and a leisurely stroll along the coastline is a fantastic way to spend a day. Lined with fine black sands, the west coast beaches are picturesque and unique in terms of the wide variety of activities offered at each. 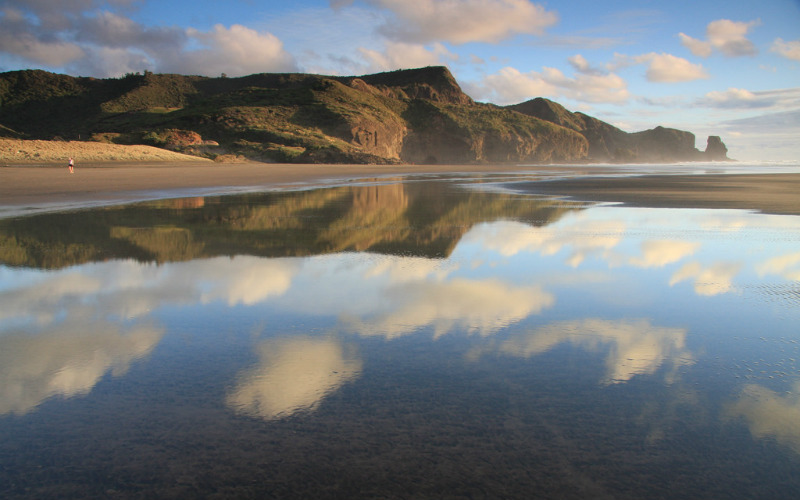 Te Henga (Bethells Beach) is more sheltered than others, making it a great swimming spot, Karioitahi Beach hosts horse riding, paragliding blokarting and more, while Piha Beach is the place to head for surfing lessons and a bite to eat at the nearby cafe. Offering so many things to see and do, there are plenty of ways to while away an afternoon in this beautiful part of the world. Raeakiaki Point, Te Henga (Bethells Beach), New Zealand. Image Credit: russellstreet / CC by SA 2.0. 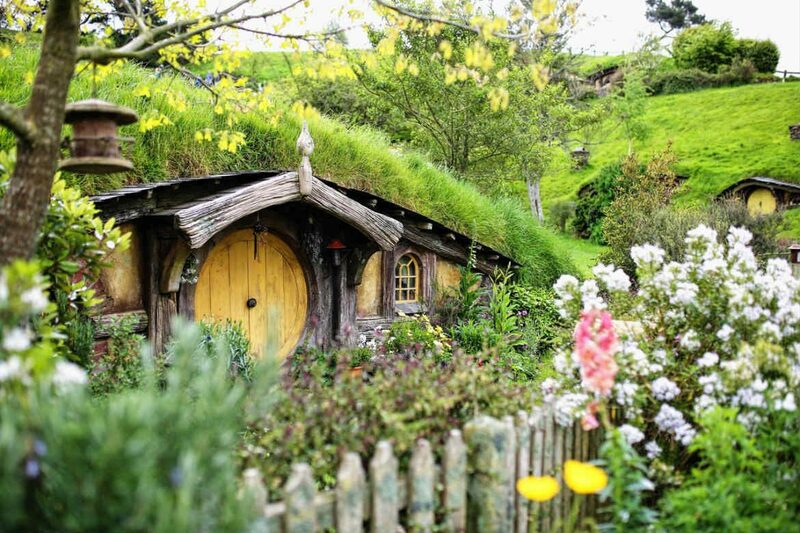 Around two hours’ drive from Auckland, Hobbiton is the place to head for a touch of movie magic. Initially established as a temporary set for the film adaptation of JRR Tolkien’s Lord of the Rings series, the five hectare site was permanently reconstructed in 2009 to coincide with the filming of The Hobbit trilogy, leaving behind 44 Hobbit holes, The Green Dragon Inn and an idyllic landscape of rolling hills. Situated within a functioning farm, the site now sits as a monument to the much loved world created by JRR Tolkien, with guided tours operating daily. As you are led through the set by a knowledgeable guide, you’ll see the iconic Hobbit holes, discover where popular scenes were shot and learn about some of the ingenious filming techniques used to successfully re-imagine the fictional world. Ending with a drink at the Green Dragon Inn, the tour is a great choice for Tolkien fans, movie buffs and pop culture aficionados alike. 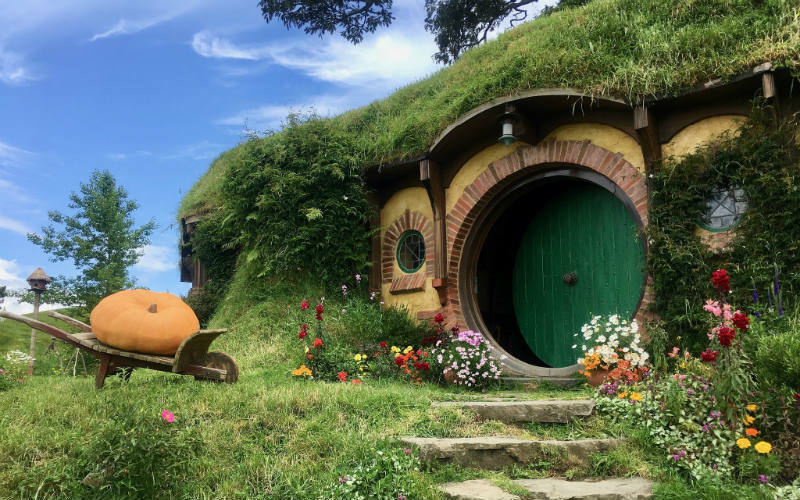 Hobbiton is a popular attraction, with people from across the globe visiting each and every day, meaning that tours may sell out well in advance, so it is best to pre-book your tour where possible. Hobbiton, New Zealand. Image Credit: Brian / CC by 2.0. Perfect for a leisurely day out and about, Riverhead is a great destination if you’re looking to kickback, soak up some good views and enjoy some even better food. Situated to the northwest of Auckland, the small township of Riverhead is home to The Riverhead, an historic riverside tavern that is thought to be the oldest of its kind in the country. Encompassing a restaurant (The Landing Restaurant), a bar (The Portage) and a function centre (The Boat House), the tavern was renovated in 2010 and reopened to the public in the following year. Ferries depart Auckland and travel to the tavern’s riverside location, passing under the Auckland Harbour Bridge, by the Chelsea Sugar Factory and to the upper reaches of Waitemata Harbour. A relaxing trip, the ferry delivers you to the tavern, where you’ll find a great choice of delicious meals, local wines and tasty beers. Ferry departure times are dictated by the tides, meaning that they may not always align with your plans. Services may also run on specific days, depending on the season. 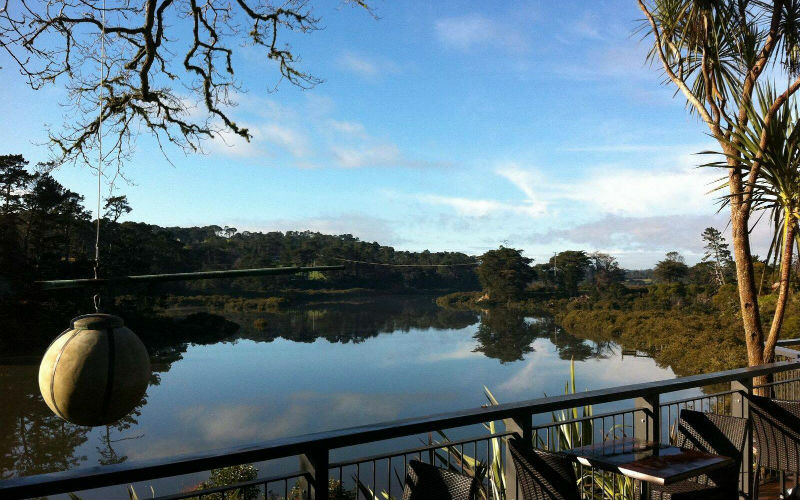 If the service days and times don’t match with your plans, Riverhead is also an easy 25 minute drive from Auckland. The Riverhead, Riverhead, New Zealand. Image Credit: The Riverhead. Throughout the Waitomo region, located to the south of Auckland, more than 300 mapped caves can be found, including the spectacular Glowworm Caves. 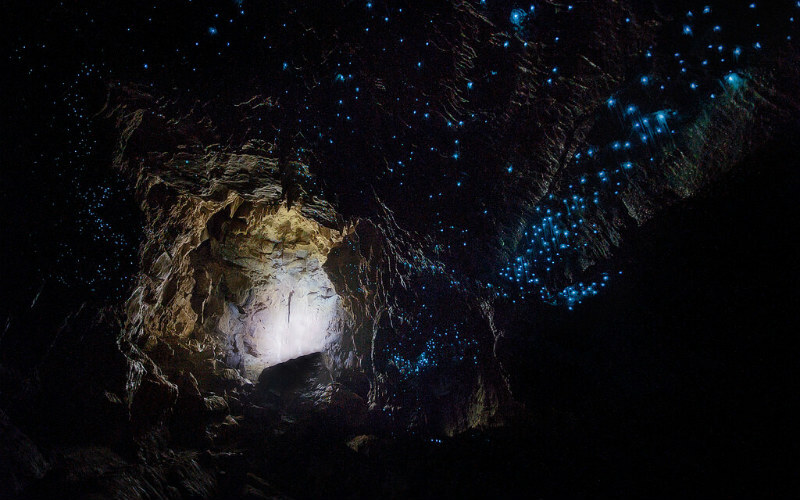 Home to thousands of tiny fungus gnat larvae, the world renowned caves are softly illuminated by the twinkling lights created by these fascinating insects, providing an unforgettable experience that attracts visitors from across New Zealand and the globe. Calling the roof of the caves home, the gnats use their bioluminescence to attract their prey, resulting in a remarkable natural light show akin to the star peppered night sky. One of the best ways to explore the caves is to join a tour led by an expert guide, where you can learn about the fascinating geological and cultural heritage of the caves, from its famed glowing residents through to the ancient stalactites and stalagmites scattered throughout. Boarding a small boat, you’ll cruise underground along the Waitomo River, where you’ll have the chance to sit back and admire the beauty of the caves while learning about what makes them so incredibly special. Tours operate all year round, with their frequency changing slightly depending on the season. Waitomo Caves, New Zealand. Image Credit: Манько Марко / CC by SA 4.0. Ready to discover some of the fantastic attractions and natural features scattered around Auckland? Find and compare cheap flights to Auckland or hire a car with Webjet today!